Boys of spring move on -- Play ball! I never had mixed feelings about Opening Day before living in Bradenton. That day really was the start of the calendar, growing up in St. Louis. Who needed New Year's Day when you had Cardinals baseball? But as the National Anthem rings from Yankees Stadium at this writing, I'm feeling that twinge of regret that Spring Training has wrapped up for another year. And it was a glorious March at McKechnie Field, with attendance shattering records as reported by sports writer John Lembo: in his story here, in his Spring Training blog and, of course, on Facebook and Twitter. We were in the stands Sunday, celebrating the last game of the year and soaking in a perfect day at McKechnie. (Hey, the Pirates even won!) How grand was it? Check out this photo of Vin Mannix, perched in the perfect bleachers spot above us. Now, on to the 2011 MLB season. The Cards square off with the Padres at 4 p.m. EDT! * Results are more relevant to the search words. * Articles are indexed faster, so they're available as search results sooner. * More sections on the site are searchable. Now that's an eclectic profile of our users! OK, I admit it -- I was jealous. 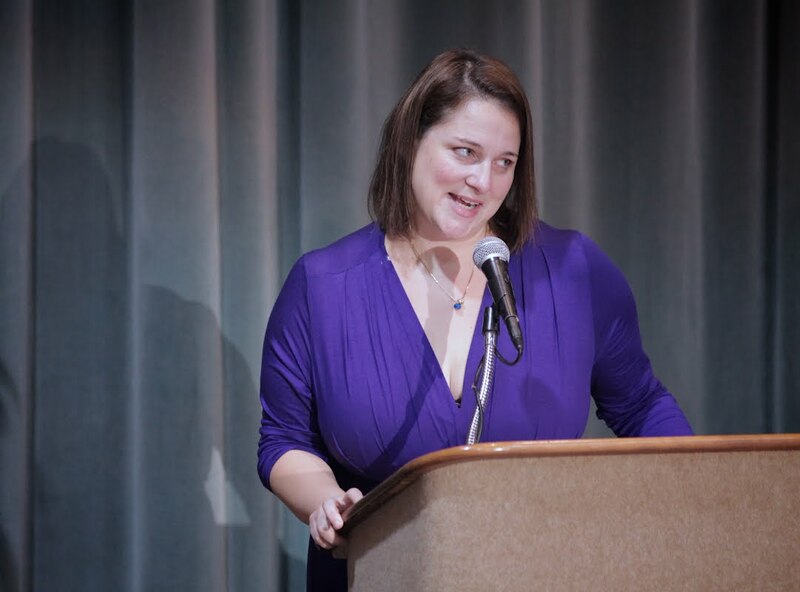 Novelist Jennifer Weiner had the sold-out crowd at yesterday's Library Foundation's Books & Authors luncheon in the palm of her hand. She wittily walked us through her life and how she got to that "glamorous life of an author." I applauded her beginnings: "Before I was a writer, I was a reader." So what was my problem? She was/is a journalist. She had her humble beginnings in a newsroom. Heck, they were even Knight Ridder newsrooms, same as my resume shows I've spent many, many, many days. But for those of you who know a journalist: We all have that great American novel in us. And Weiner figured out how to give birth. But I quibble with Weiner on one key point: Reporters often tell great stories in their writing -- it's a lot more than punching in words! In fact, Weiner still has a lot of that newsroom blood in her. Her humor, for one thing -- nothing is sacred. She admits that after all those years in newsrooms, she has to write in a coffee shop for the buzz and adrenaline. And as Wade Tatangelo reported in his preview story, she admits she really enjoyed being a reporter. But writing fiction was always her dream. In the end, Weiner was reaffirming what everyone in the audience wanted to reaffirm: Reading and writing are core to learning, to living, to loving, to being. Here's to the Library Foundation for fighting to keep that alive in our community. March Madness is upon us, and anyone with an ounce of gambling blood in them has the jitters. I'm not even going to try pretending to understand "THE BRACKETS" -- I've always vied for last place betting on my Missouri Tigers to go all the way each year. I'll leave that to sports editor Tim Wolfrum, who admits to just about the same track record in his column here this week. And check out our updated online Basketball section, here at bradenton.com/sports/basketball . Web Developer William Winter has updated it from a simple list of articles to a new layout that includes top story highlights with images and gallery sliders. Manatee Avenue IS a hellish mess! Journalists and caffeine make natural soul mates. Hence, the Starbucks cattycorner to the Bradenton Herald gets steady business from our newsroom. Wait. That means you have to cross Manatee Avenue. What was I thinking this morning? Nothing like first-hand experience to confirm what you read in the newspaper: Manatee Avenue is a nightmare. As reporter Duane Marsteller spelled out in today's story, motorists will have to contend with the downtown construction zone for at least another four months. Four months of this?! Photographer Tiffany Tompkins-Condie captured just how torturous this is in her photographs. And there's not even relief after they're done with "the boulevard." 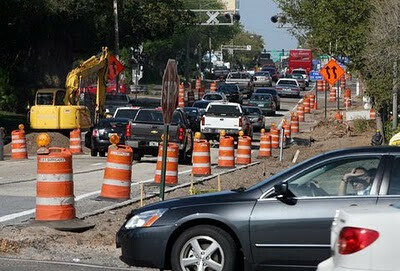 Right after that, Marsteller reports, work will begin on resurfacing Manatee Avenue’s eastbound twin, Sixth Avenue West, between 10th and 15th streets. Sure, we've been spoiled. Ever drive in Chicago's rush hour? But right now, I'm in the camp asking why we're messing with our main drag in the middle of season. If it's not broke... geesh.